Transform the nursery into a snap in a cozy room. Stick with your child the star wherever you want. With this sticker you make perfect the room. 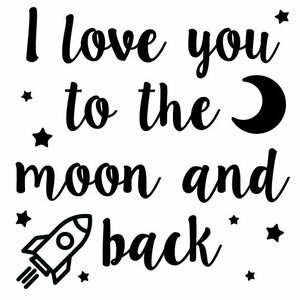 The sticker I love you to the moon is approximately 60 cm wide and 70 cm high and available in 14 colors. 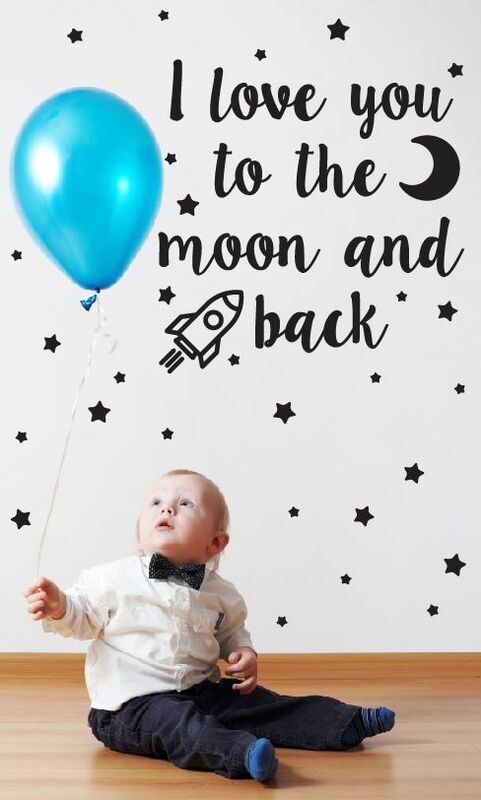 The stars you can paste apart on any place on your wall.